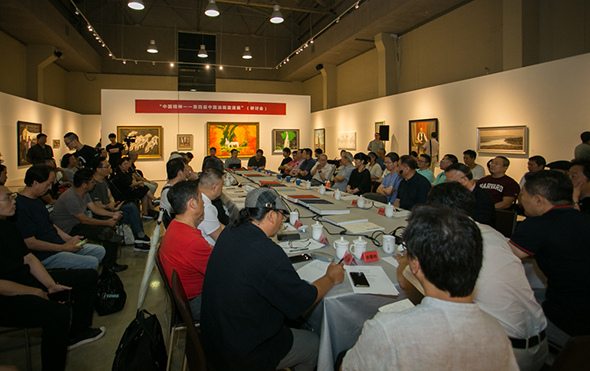 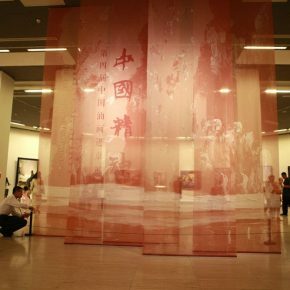 From 15 July through to 16 July, 2018, “Chinese Spirit: The 4th Chinese Oil Painting” which was hosted by the China Artists Association, and organized by the China Artists Association Oil Painting Art Committee and the Shandong Art Museum, was held at the National Art Museum of China and Chinese Academy of Oil Painting in succession. 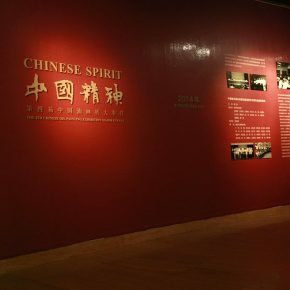 The exhibition is divided into two parts, including “Chinese Spirit: The 4th Chinese Oil Painting Exhibition in Beijing” held at the National Art Museum of China and “Chinese Spirit: The 4th Chinese Oil Painting Invited Exhibition” held at the Chinese Academy of Oil Painting. 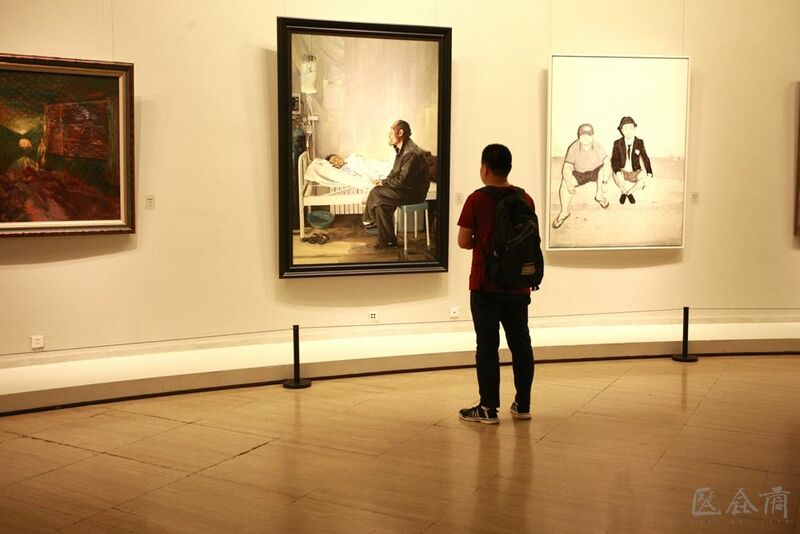 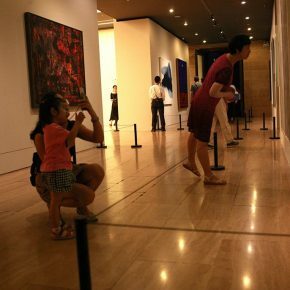 It is a summary and presentation of Chinese oil paintings divided into three sections, including “expressionism, realism, and abstract.” A total of 187 excellent works are selected for the three sections, including expressive oil painting, realistic oil painting, and abstract oil painting. 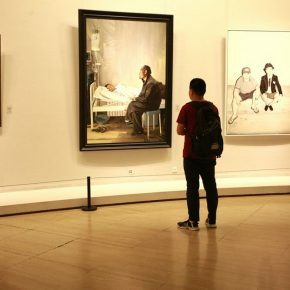 A total of 96 works by the jury members of “Chinese Spirit: The 4th Chinese Oil Painting Exhibition” and the special invited artists were on show at the art museum of the Chinese Academy of Oil Painting. 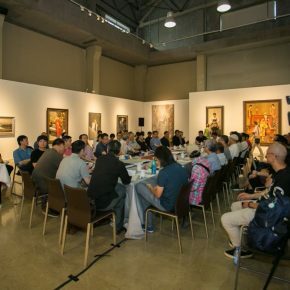 On the morning of 16 July, the symposium on the 4th Chinese Oil Painting Exhibition “Chinese Spirit: Chinese Oil Painting and Contemporary Society” was held at the Chinese Academy of Oil Painting. 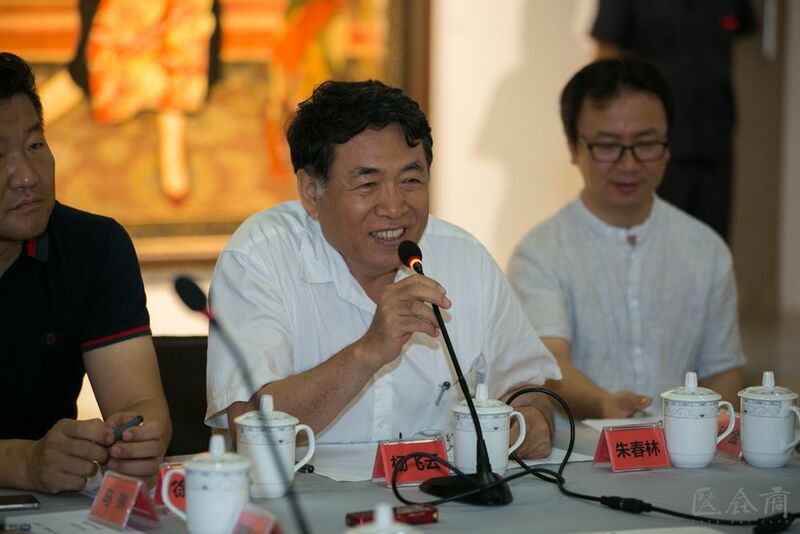 Editor-in-Chief of the Academic Journal of CAFA, Prof. Yin Shuangxi was the host of the symposium, and the honored guests who participated in the symposium included: Prof. Zhong Han, Prof. Su Gaoli, Prof. Wen Guozhang, and Prof. Pan Shixun from the Central Academy of Fine Arts, Yang Feiyun, Director of Chinese Academy of Oil Painting at the Chinese National Academy of Arts, Wang Shengli, the Deputy Director of the Oil Painting Art Committee of the China Artists Association, Pang Maokun, President of the Sichuan Fine Arts Institute, Prof. Zhou Changjiang from the School of Arts at the East China Normal University, Prof. Xie Dongming from the Central Academy of Fine Arts, Chen Jian, the Deputy Director of the Oil Painting Art Committee of the China Artists Association, Prof. Liu Renjie from LuXun Academy of Fine Arts, He Dan, Vice President of Xi’an Academy of Fine Arts, Sha Jin, the Deputy Director of Painting Department at the Art College of Inner Mongolia University, Xu Qingfeng, the Deputy Dean of Chinese Academy of Oil Painting at the Chinese National Academy of Arts, Maimaiti Aiyiti, Director of the Oil Painting Art Committee of Xinjiang Artists Association, Sun Lixin, Director of the Creation Office at the Military Museum of Chinese People’s Revolution, Prof. Jiao Xiaojian from the School of Painting Art at China Academy of Art, Prof. Zhang Dongfeng from Guangxi Arts University, Zhu Chunlin, the Deputy Dean of Chinese Academy of Oil Painting at the Chinese National Academy of Arts, Prof. Meng Luding from Central Academy of Fine Arts, Prof. Gu Liming from the Academy of Arts & Design, Tsinghua University, Deng Pingxiang, Member of the Council of China Oil Painting Society, Zhang Gan, Vice President of the Academy of Arts & Design, Tsinghua University, Zheng Gong, a research fellow from the Chinese National Academy of Arts, Prof. Li Changju from Beijing Forestry University, Wang Duanting, an art critic from Chinese National Academy of Arts, Gao Tianmin, a research fellow from China National Academy of Painting, Prof. Zhao Li from Central Academy of Fine Arts, Prof. Tan Tian from the Guangzhou Academy of Fine Arts, and Cai Haojie, Chairman of the Hong Kong, Macao and Taiwan Artists Association. 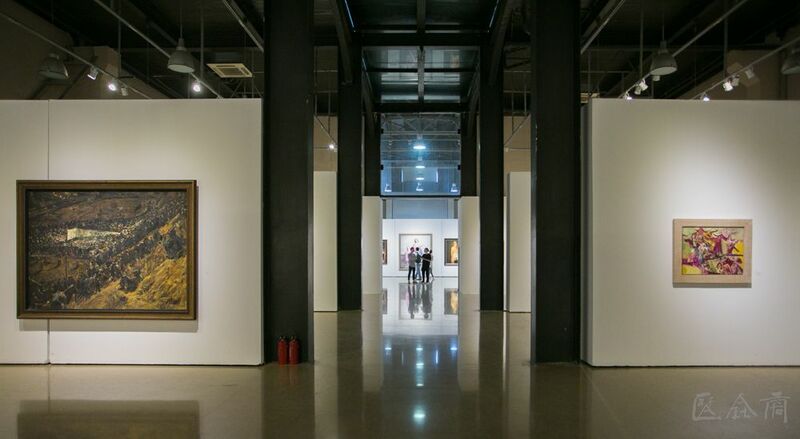 This symposium is based on the Chinese oil painting exhibition, focusing on four topics: “representational oil painting and social image”, “expressive oil painting and artistic personality”, “abstract oil painting and the humanistic spirit” and “modern expression of oil painting language”. 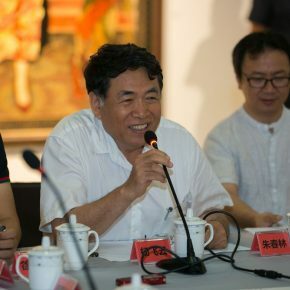 The host, Prof. Yin Shuangxi, first emphasized the significance and value of this symposium, and he said that, the Chinese oil painting world has held many important symposiums which had promoted the development of oil painting at critical moments in recent years. 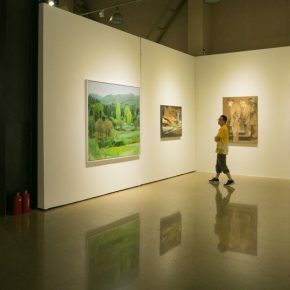 “Chinese Spirit: The 4th Chinese Oil Painting Exhibition” has continued for four years, so that people are allowed to have a chance to fully understand the current development of Chinese oil painting. 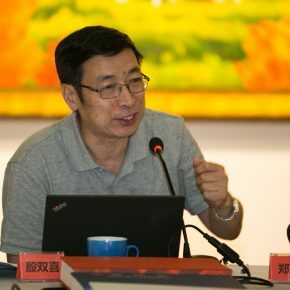 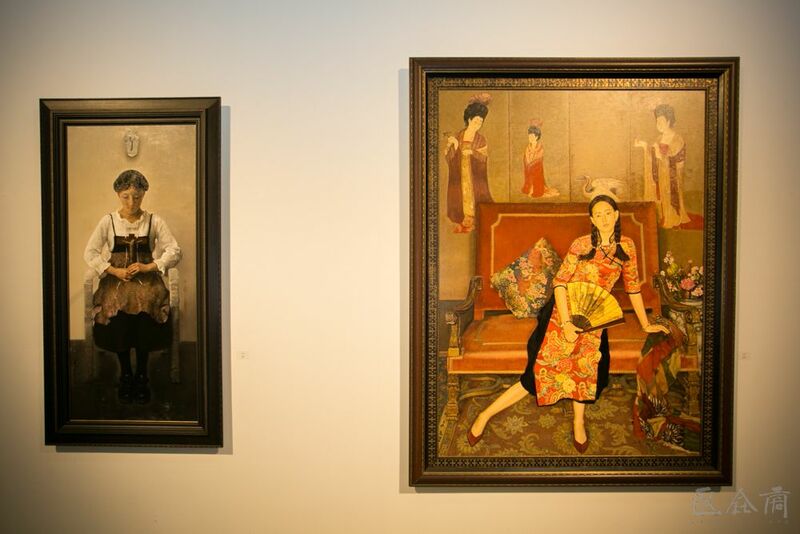 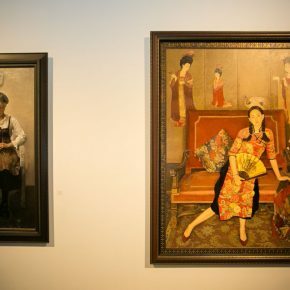 Yang Feiyun commented that it was an important issue to improve the level of oil painting in the new era to match the fact that society was rapidly developing. 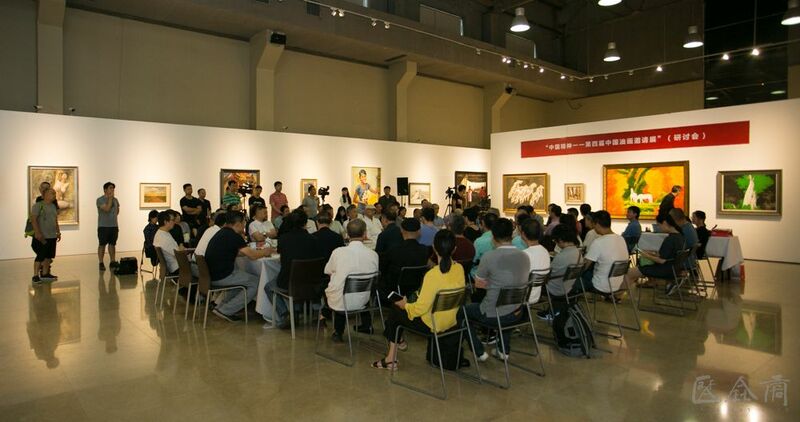 The senior professors Zhong Han and Su Gaoli from the Central Academy of Fine Arts subsequently expressed their views. 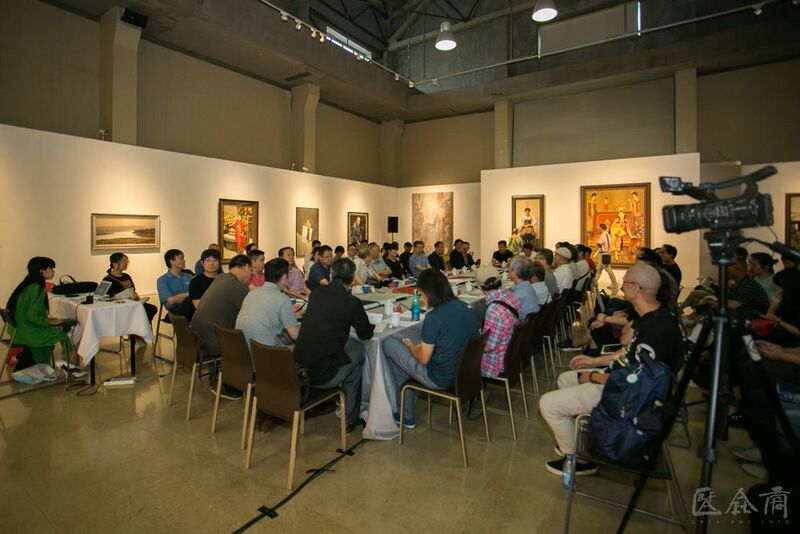 They started with their own experiences to review and summarize the past and current situation of the development of Chinese oil painting. 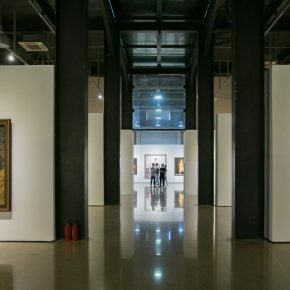 They believed that oil painters should be more united, exploring and studying together, which was also the significance of this oil painting exhibition. 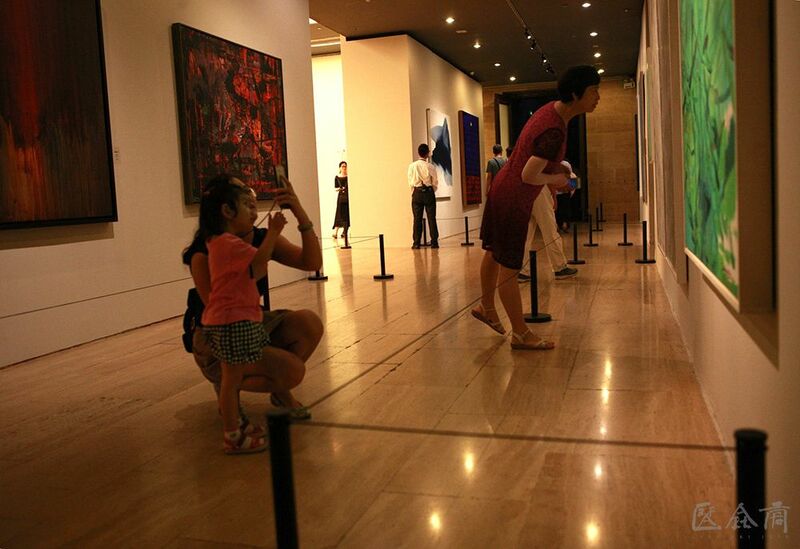 And then many scholars enthusiastically made comments. 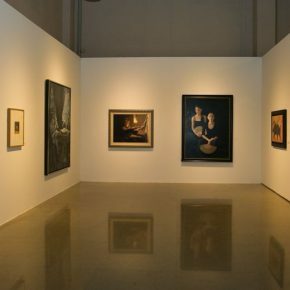 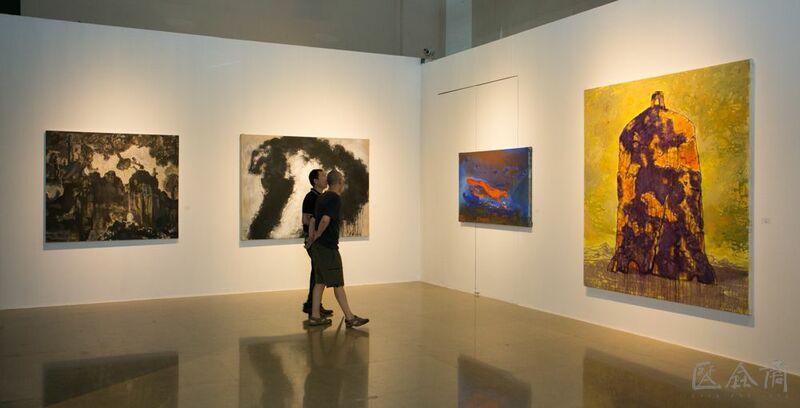 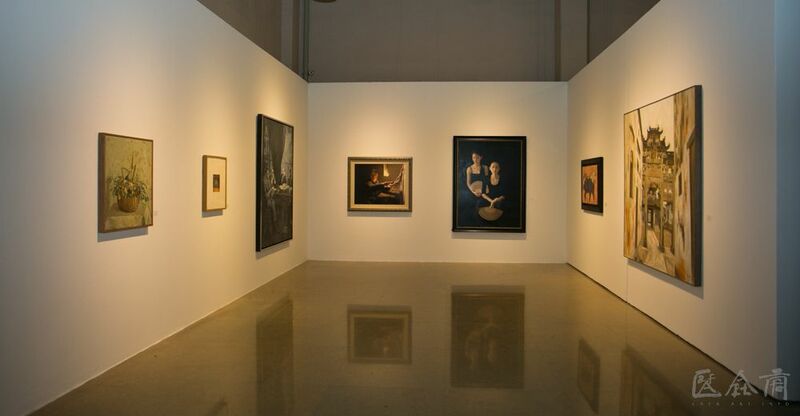 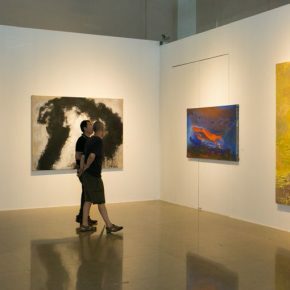 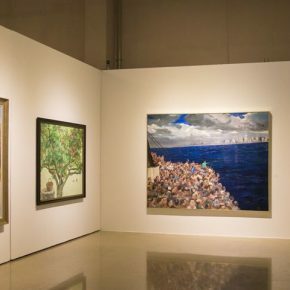 Some people started with the exhibition to analyze and evaluate the exhibition, which has led to a discussion on the phenomenon of contemporary oil painting. 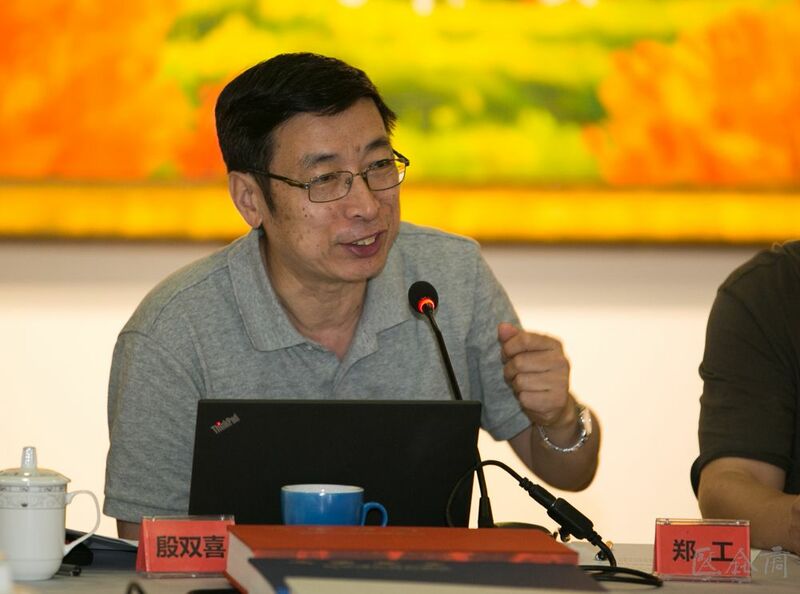 Prof. Sun Weimin affirmed the oil painting exhibition and emphasized the significance of Chinese realistic oil painting; Gao Tianmin hoped that Chinese artists could have a sense of responsibility for both the Chinese oil painting and the attention of the current society; the critic Wang Duanting made a comment that Chinese oil paintings were presented with a state of mediocrity in terms of artistic style, and the creation of young artists did not surpass the creations of their predecessors in the 1980s; Prof. Tan Tian said that the current research on theories of oil painting was far behind the creation of oil paintings, which has led to an exhaustion of Chinese oil painting. 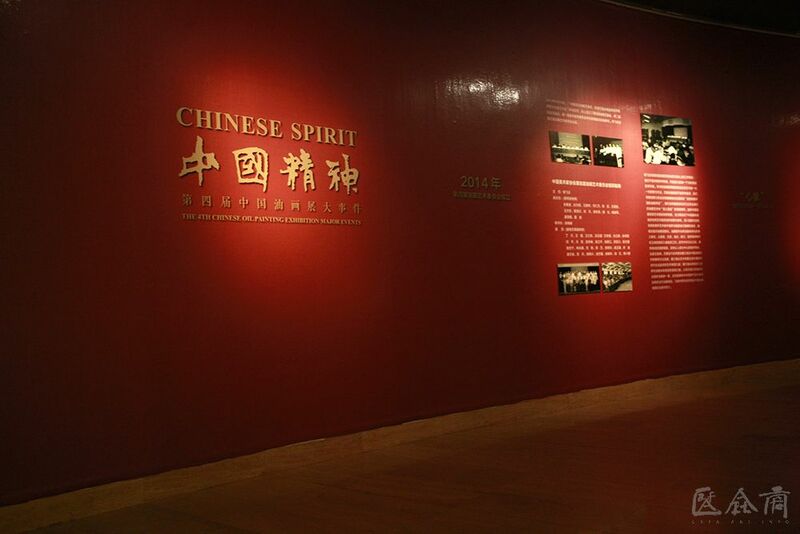 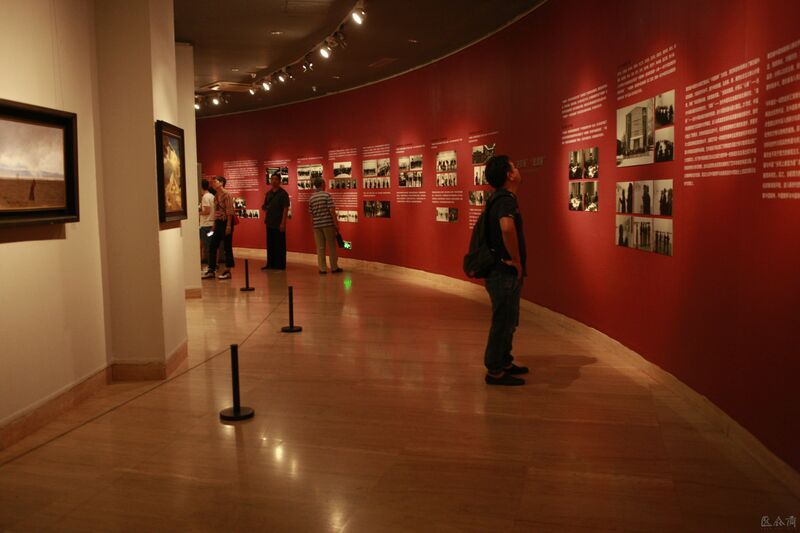 In addition, some scholars started with the theme of the exhibition “Chinese Spirit”. 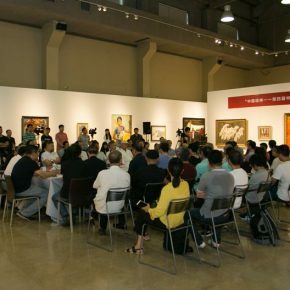 Zheng Gong started a discussion on the academy spirit of oil painting; Prof. Wang Shengli made a summary of the “Chinese spirit” with eight keywords including “quality and style, rhythm, artistic conception, brush and ink”; Prof. Zhao Li said that the symposium proposed the concept of “Chinese spirit”, and it launched the exhibition and discussion centered on this spirit, in order to form a mutual consensus on the basis of multiple personalities, so that the problem would be solved and a trend would be generated, to further develop oil paintings; Deng Pingxiang said that we were in an era of spiritual flatness, and of mental and spiritual distress, so that it was necessary to talk about the spirit at the moment. 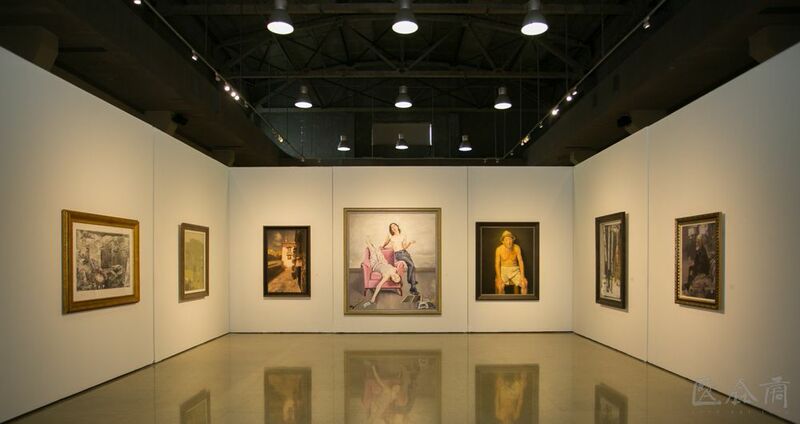 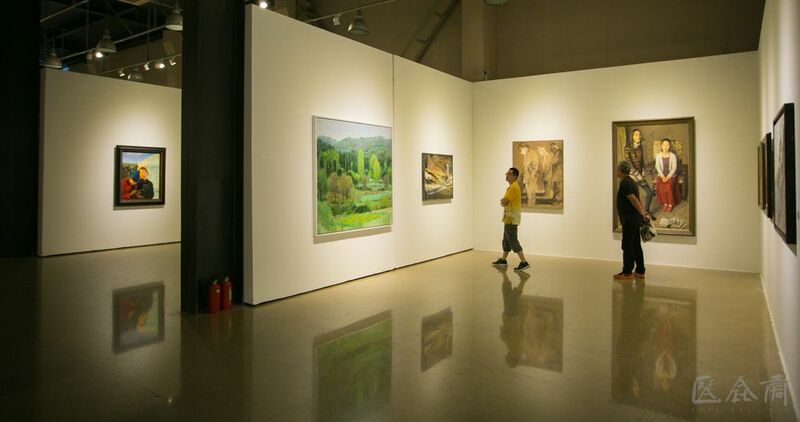 The 4th Chinese Oil Painting Exhibition is committed to the promotions of academic progress. 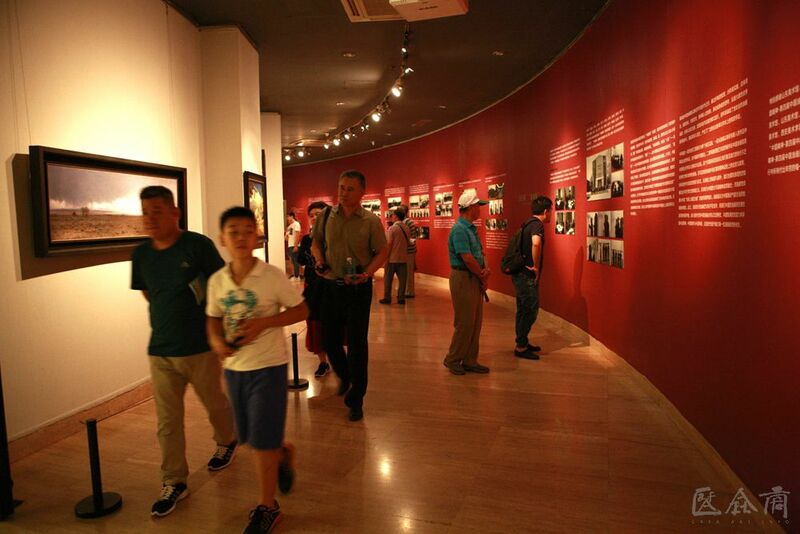 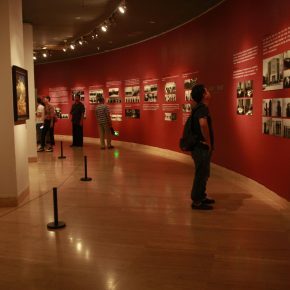 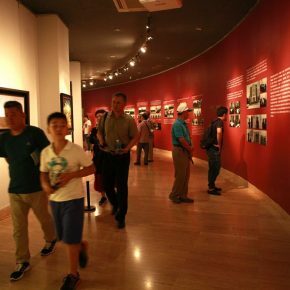 It is through multi-perspective analyses, implemented in stages, overall focus, partially deepening, connecting history, recommending new people’s innovation, promoting the thinking of the mature, and promoting excellent quality; it takes the Beijing exhibition as the main show, together with the itinerant exhibitions in many provinces and cities. 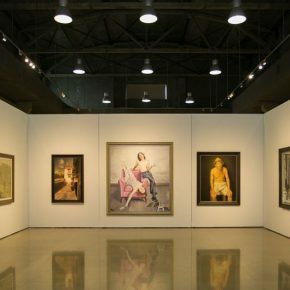 It has mobilized the oil painters of the whole society to actively participate in the activities over the past four years, and the theorists have paid close attention to them, resulting in a wide range of social influences and effectively developing the academy. 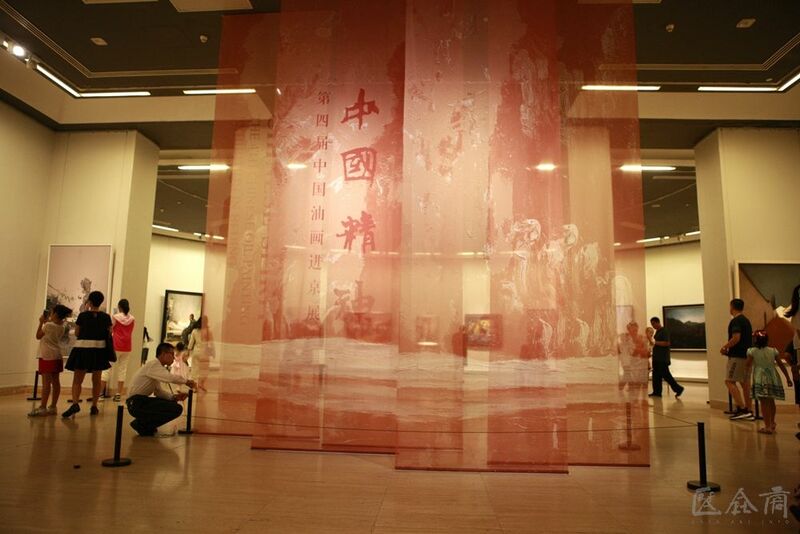 The opening of this symposium is also a phased review of the Chinese oil painting exhibition.